With a month having passed since the Conservation Corps season has ended, it seems appropriate to take this time to look back and reflect on all that was accomplished during this past summer. First and foremost, let’s begin with the big number statistics. 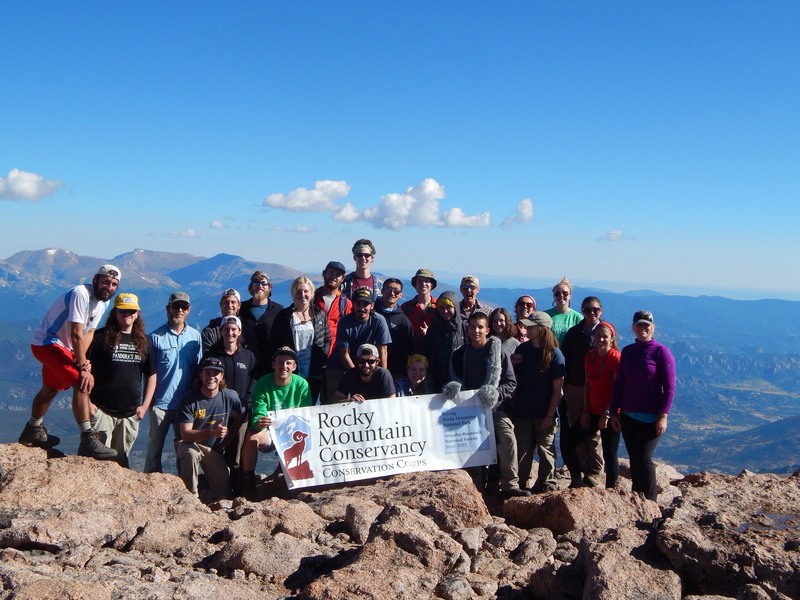 In 2015, the five crews completing trail work with the National Park Service and USDA Forest Service maintained 328 miles of trail in Rocky Mountain National Park and the Arapaho-Roosevelt National Forest. Over the course of these miles, the crews installed and maintained 4416 erosion control measures, which include water bars, graded dips, drains, culverts, and check dams. All of these structures help divert water away from the trail and/or retain trail tread. In addition to managing erosion, the crews helped construct 17 turnpikes to help recover over 500 feet of trail crossing through wetland areas. These structures help raise the trail above the wetland using more durable materials (rocks and mineral soil), to mitigate impact on the sensitive ecosystem while maintaining access. In addition to turnpikes, the crews also constructed 10 stream crossings to ensure visitor safety and clarify a corridor for the trail. These stream crossings ranged from elaborate bridges for both stock and hikers to more simple back country foot bridges to the minimalist stepping stones. To further improve access and safety for visitors in the area, the crews also bucked out 1300 downed trees from the trail. a large portion of these trees had fallen on the Continental Divide National Scenic Trail, a 3,100 mile through along the Continental Divide from Mexico to Canada. In these sections, the crews’ work helped restore connectivity of this famous through hike. But wait, that’s not all! This season the Rocky Mountain Conservancy – Conservation Corps also hosted a new historic preservation crew, the Kawuneeche Crew. 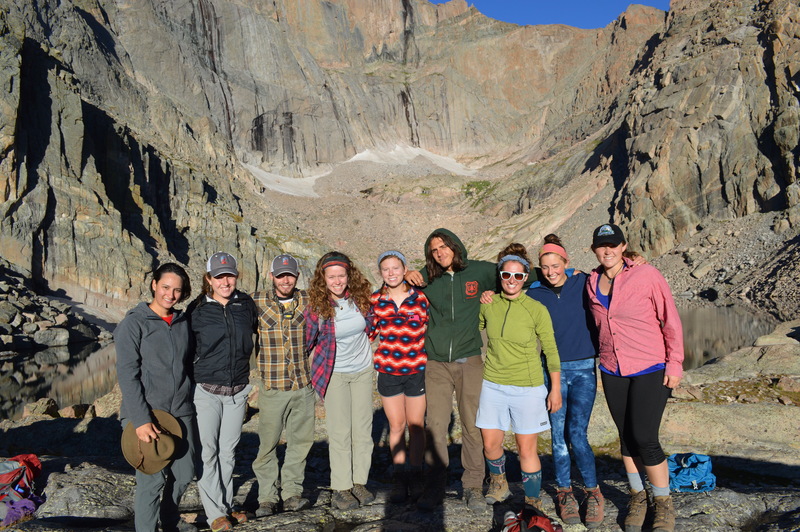 This crew spent its season working alongside the Special Projects division of the National Park Service in RMNP assisting with the restoration of two historic structures. The first of these was the Civilian Conservation Corps Mess Hall at Lake Irene. This building was constructed in 1926 to help house and feed workers helping to complete Trail Ridge Road through the Park. It had been some decades since anyone had done much work to maintain the structure to preserve its historical significance. This past summer, the RMC-CC crew replaced the roof with all new cedar shingles, fitted new log ends and rafter tails to the buildings structure, and helped repaint the entire exterior. The second building the crew worked on was the Little Buckaroo Barn. This building has been designated on the National Registry of Historic Places due to its unique structural design. Its architecture reflects that of a Cajun barn, most commonly found in Louisiana, with some local adaptations for Colorado’s adverse weather. Located within the Kawuneeche Valley, this picturesque barn is akin to the famous barn of Grand Teton National Park. To preserve this cultural resource, the crew replaced the roof, stabilized the structure, rebuilt rafter tails, and refurbished damaged siding. In addition to these two structures, the Kawuneeche crew also helped replace siding on the historic Kaley Cottage in Moraine Park. And to finish it all off, here’s a slideshow recap of this past season!